The Council of the Polish Church has canceled the decree of April 12, 1924, which introduced the Gregorian calendar. March 28, 2014. PRAVMIR. 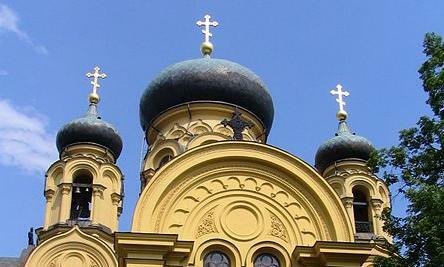 The Polish Orthodox Church will return to the Julian calendar. This decision was taken during the spring session of the Council of Bishops, which took place on March 18 at the residence of Metropolitan Sawa of Warsaw and All Poland. The decision was taken due to the fact that most of parishes of the Polish Orthodox Church (96%) celebrate church holidays on the Old Calendar. Thus, the Council canceled the decree of April 12, 1924, that introduced the New Calendar into the Polish Church, writes the Orthodox website Sedmitza. According to the decree, the Church will return to the Old Calendar on June 15, 2014. The Council stated that parishes wishing to conduct services on the New Calendar may still do so. The Council also reviewed the matter of bringing to the country the relics of St. Mary Magdalene, who is considered the patron saint of the Polish Church. The Metropolitan Cathedral in Warsaw is named in her honor, as is the main church ceremonial order. Her holy relics will be in Warsaw from August 16-23, 2014. The Council reviewed the work of the bilateral Orthodox-Catholic commission for dialogue and discussed other ecumenical issues. It was also decided to continue the work of translating the Book of Needs into Polish. The Council also reviewed awards for clergy and laity of the Polish Orthodox Church on the occasion of the upcoming feast of Pascha.